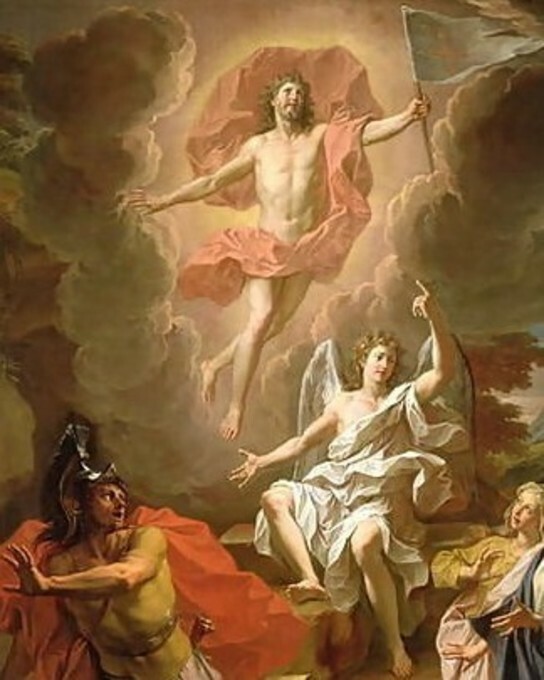 Jesus rises from the dead on Easter Sunday, glorious and immortal, as He has predicted. 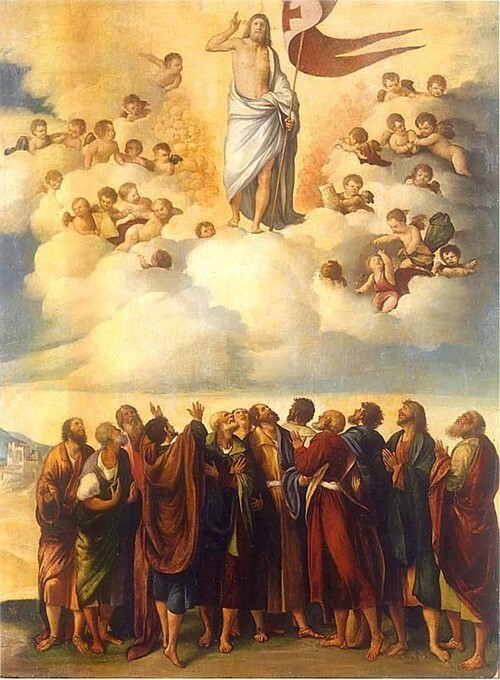 Jesus ascends into Heaven forty days after His resurrection to sit at the right hand of God the Father. 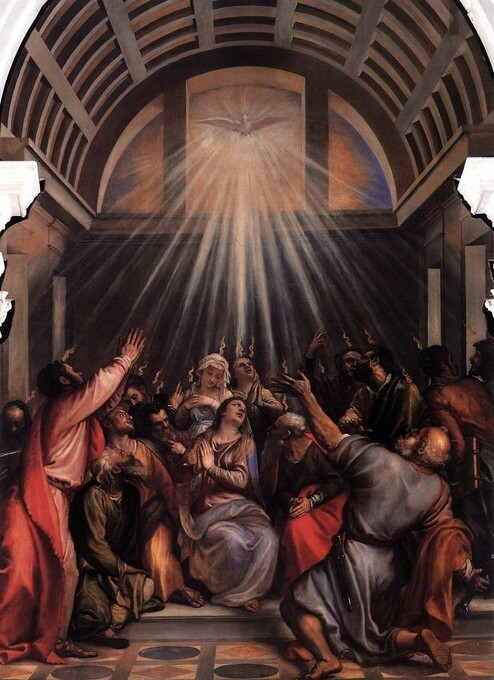 Jesus sends the Holy Spirit in the form of fiery tongues on His Apostles and disciples. 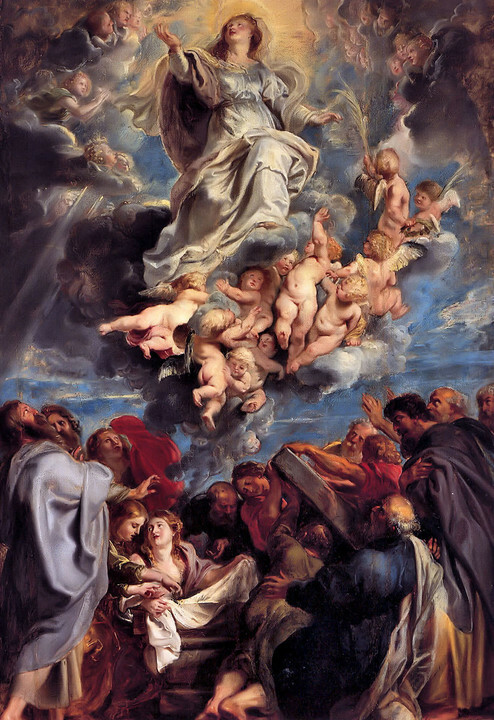 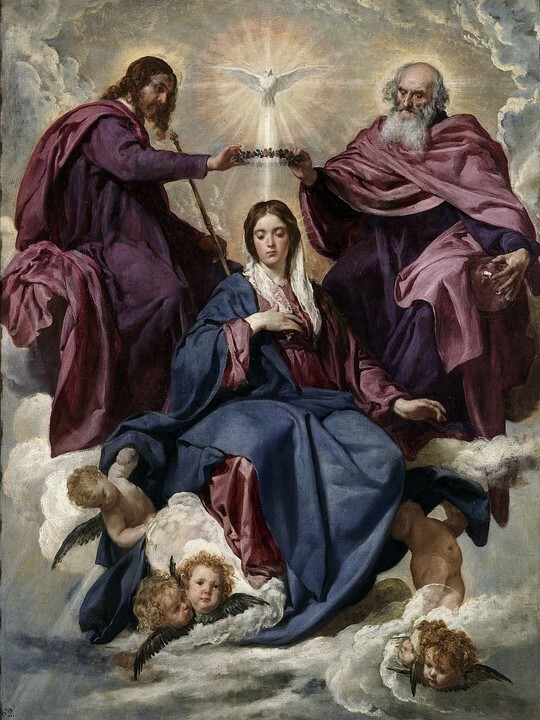 Listen and Pray the Glorious Mysteries With Us!